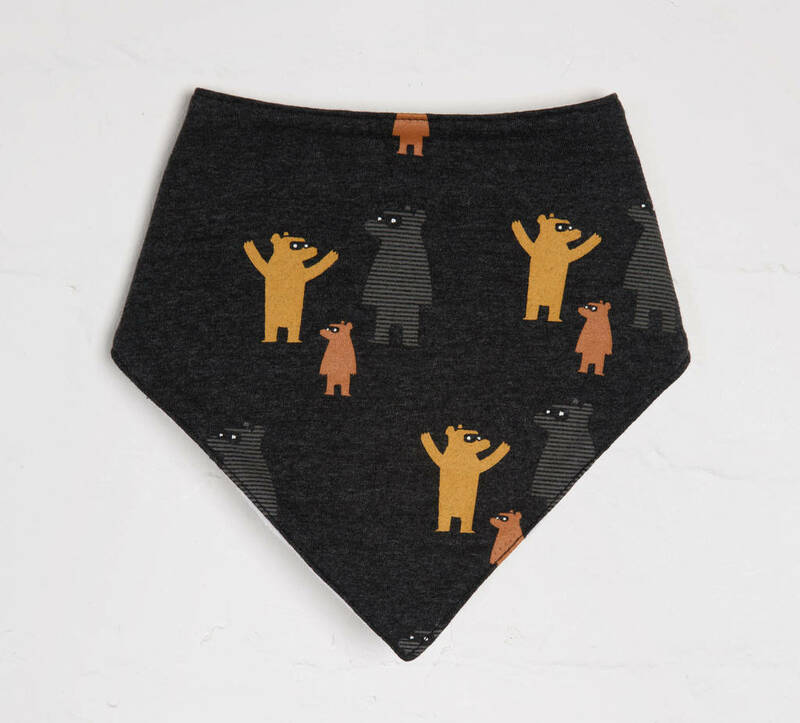 We use 100% GOTS certified organic cotton and all our baby and toddler clothing is ethically and sustainably sourced, making this Where's Bear Bandana Bib an ideal gift for any babyshower, new baby, or first birthday gift. You can never have too many bibs! This stylish little boys bib integrates seamlessly with outfits. The charcoal base comes with three little bears in pops of orange, staying presentable for longer. It comes with a soft cotton towelling for extra absorbency and added warmth. This is an essential baby and toddler style.